On Monday I pulled out a favorite box that we haven’t been using much lately, an EasyLunchboxes container . Somehow it got pushed to the back of the lunch box shelf so it hasn’t been front and center in the mornings. 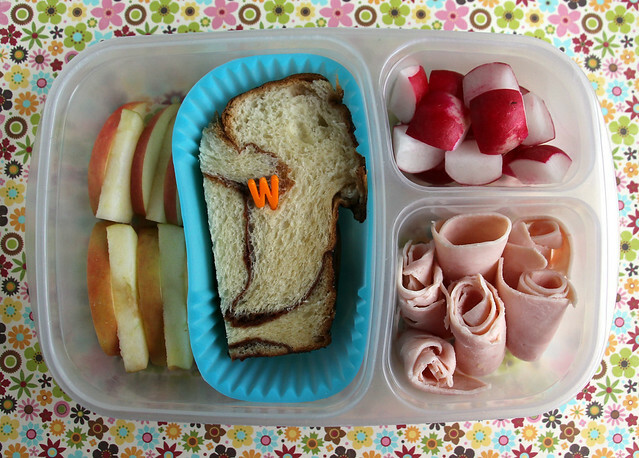 Wyatt’s lunch had apple slices, a piece of cinnamon bread with a “W” pick stuck in it, radishes, and turkey spirals. It was a nice and easy start to the week. Augie used our PlanetBox Rover. He had cinnamon bread with a cat decoration, a whole Persian cucumber with a blue cat pick for dipping in the hummus, breadsticks wrapped with strips of turkey, carrots and the previously mentioned hummus. 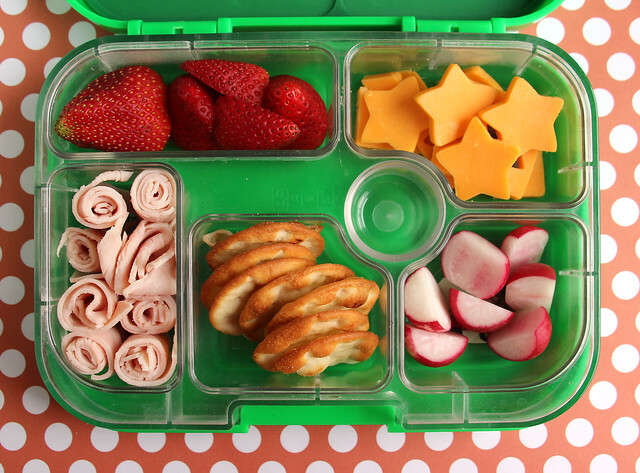 On Tuesday, Wyatt had strawberries, cheese stars, radishes, pita crackers and turkey spirals. This was packed in our Yumbox. 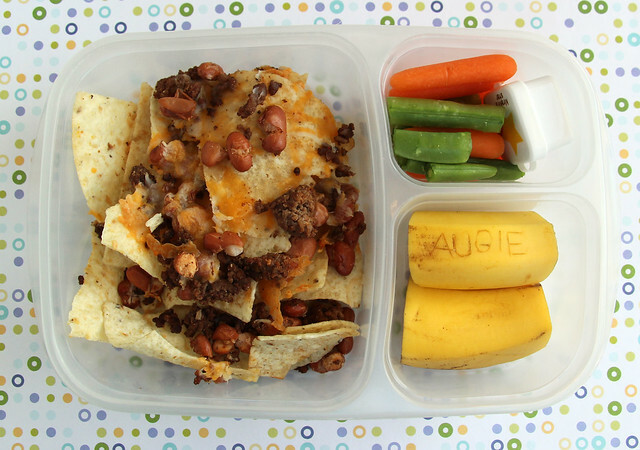 We shook things up a bit with Augie’s lunch. First, I pulled out our panda bento box — an old friend that we haven’t used for a very long time. I filled the top layer with leftover Sesame Soba Noodles from dinner the night before. I thought they looked a little boring, so I took a couple seconds to cut eyes and a smiley face from nori paper and I put those on top. The bottom layer had strawberries, sugar snap peas, carrots and a couple of turkey spirals. On Wednesday, Augie had Persian cucumbers, strawberries, ninja and throwing star sandwiches, pretzel goldfish and a pot of hummus. 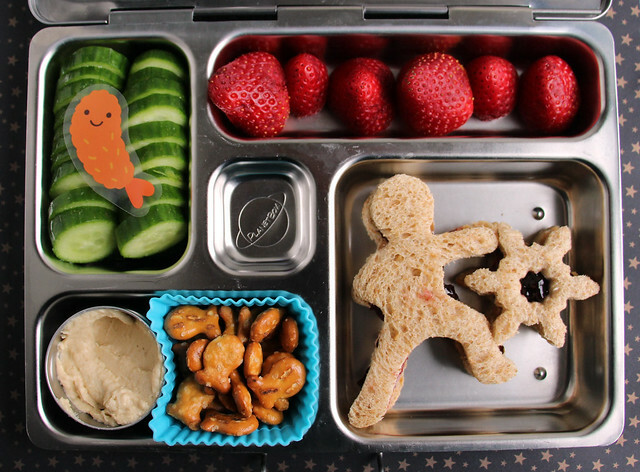 Augie picked a cute shrimp as a decoration for the cukes and the sandwiches were cut with our ninja and snowflake cookie cutters. This was packed in the PlanetBox Rover. 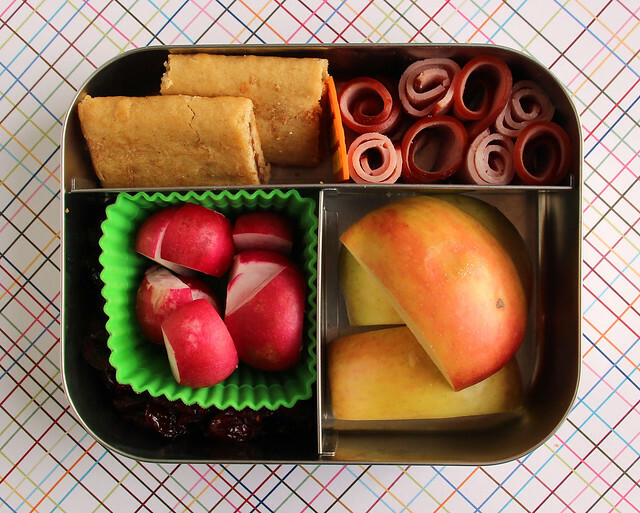 Thrusday, I used the LunchBots Trio bento box for Wyatt’s lunch: an apple cereal bar, ham spirals, apple chunks, radishes in a square silicone cup , and dried cranberries. Unfortunately, this meal was the victim of lunch room hijinx! One of Wyatt’s friends grabbed it from him while he was eating it and then dropped it on the floor where it spilled all over. The poor kid came home starving so I made him a lunch-sized plate for his after school snack. Augie had pita crackers, cucumbers, snap peas, stripey apple and ham spirals. Hands off! This is nacho lunch! Yes, a terrible pun…but I couldn’t resist. 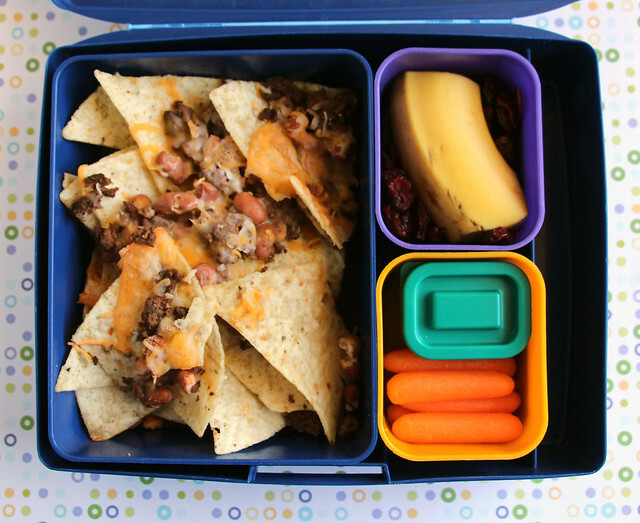 We had nachos for dinner last night and surprisingly there were a ton left over so the boys had them in their lunches today. They said they wouldn’t mind eating them cold. We’ll see how that works out. Wyatt’s were packed in the largest of the Laptop Lunches “Bento Buddies” add-on set. I don’t use these extra large containers as often as I thought I would, but they are pretty handy when I remember I have them. He also had a half a banana, dried cranberries, carrots and black bean dip. Augie also had a big serving of nachos, along with carrots, snap peas, a small container of hummus and a banana with his name carved in it. This was packed in an EasyLunchboxes bento box . So, admittedly I haven’t been very creative in my lunches lately, but do you know where I have been super creative? 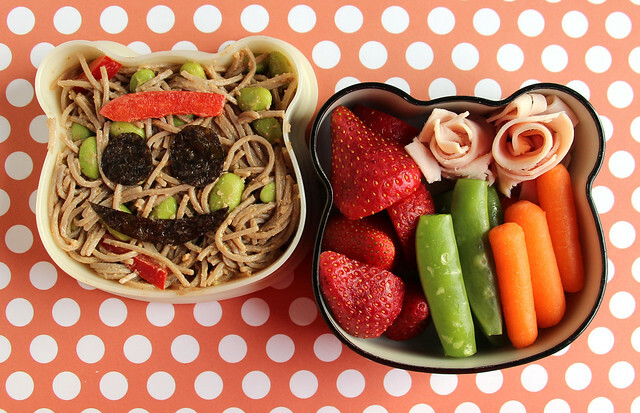 In my soon-to-be-published book, Everyday Bento: 50 Cute and Yummy Lunches to Go ! It will be released in just over four weeks on March 4, but it is available for pre-order now from Amazon , Barnes & Noble and Powell’s and it will soon be available at independent bookstores everywhere! I will be sharing lots more about the book in the coming weeks and there will be some fun giveaways too, so keep an eye out for them! 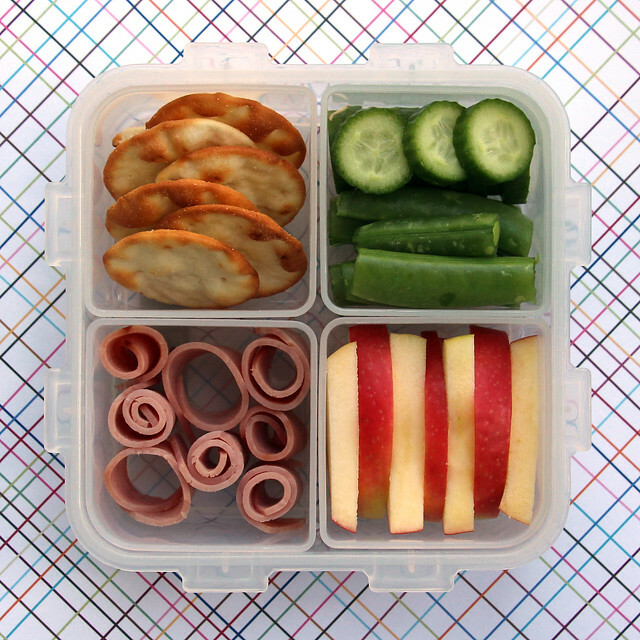 Stumped for ideas for packed-lunches? 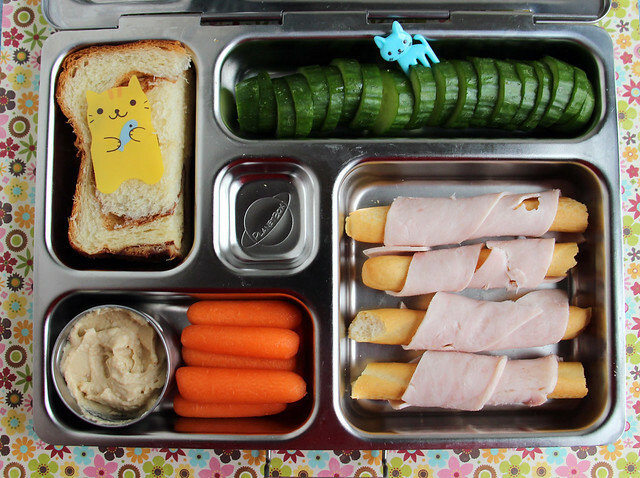 Check out my lunch box idea list or visit Wendolonia’s Bento Box Gallery for nearly 1500 searchable lunch photos! Interested in getting notified of blog updates on Facebook? Like the Wendolonia Facebook page! You can also get blog updates from Wendolonia on Twitter or you can follow my personal Twitter account where I am sometimes funny or interesting.